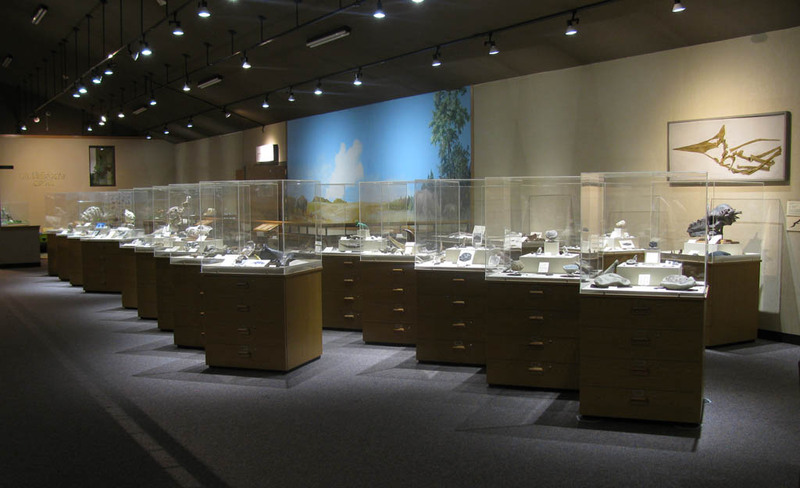 Our exhibit is undergoing major changes, with a total overhaul planned over the coming years. The new exhibit will be focused on how we use the scientific method to test hypotheses about the biology of extinct animals. Exhibits will include examples from published scientific research, and new fossils and research by museum staff. The largest number of dinosaurs on display in North Dakota, including full skeletons of Stegosaurus, Allosaurus, Triceratops, Edmontosaurus, Albertosaurus, and Thescelosaurus. 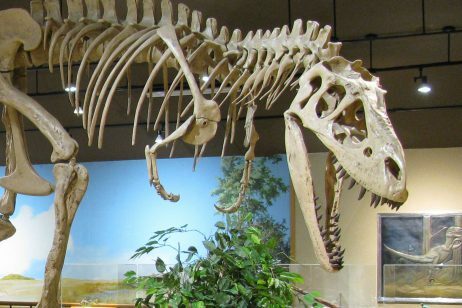 We have a range of tyrannosaur fossils on display, including a cast of a Tyrannosaurus rex skull, a real Tyrannosaurus rex leg, a mounted cast of Albertosaurus, and many teeth, claws, and other bones. Triceratops - "Bill" and "Larry"
"Bill" is the one of the best real Triceratops prorsus skulls on display anywhere, but had spent the past 20 years trapped in the middle of our public preparation lab. 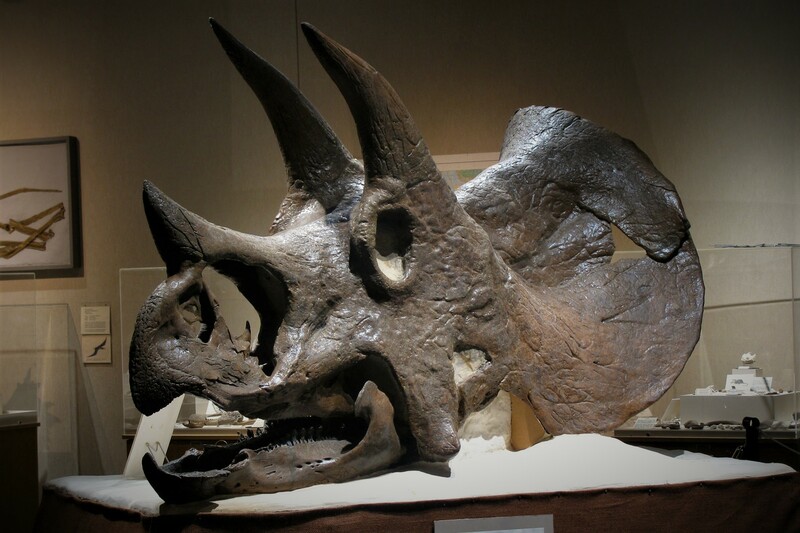 However, we recently moved him into the main exhibit area so that he can be admired from every angle.Also on display is "Larry" (a near-complete Triceratops skeleton), part of the frill of a juvenile Triceratops, and bones of other Triceratops individuals, including "Jack's Low Trike" which was munched by a Tyrannosaurus rex! 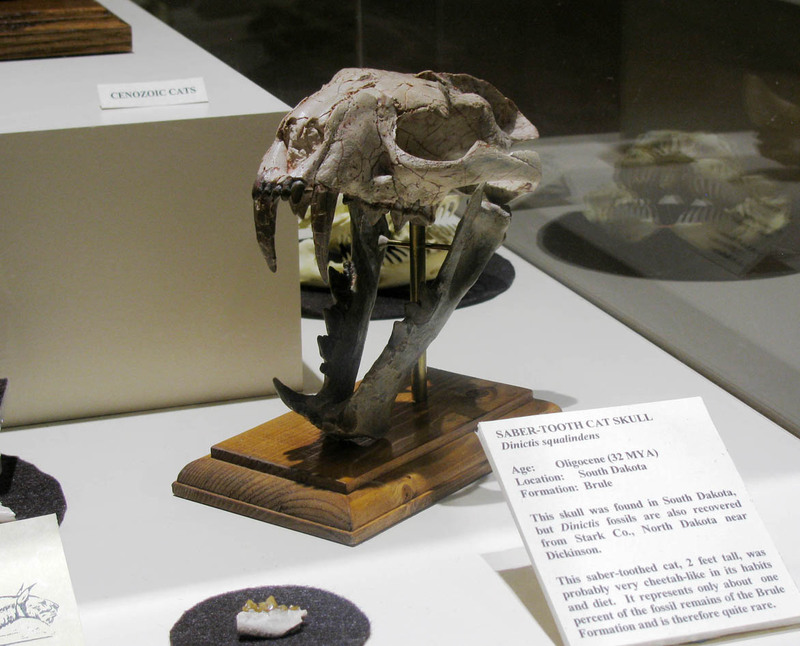 One of our newest discoveries is a skull and skeleton of an armored dinosaur from northern Montana. 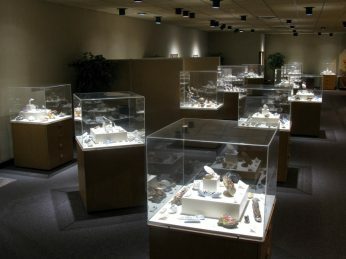 The bones of this probable new species are still being prepared in the public preparation laboratory, but as they are cleaned they are added to the display in the main hall. We have two skeletons of the duckbill Edmontosaurus on display. The partial skeleton "Warwick's Duck" is unique in that it suffered a terrible injury to its tail late in its life. The bones of Warwick's duck are temporarily on display while its injury is studied by our paleontologists. Also on display in the central sandpit is a complete composite skeleton, assembled by Larry and Alice League. 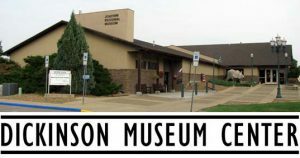 The exhibit features skull casts of the dinosaurs Diplodocus, Oviraptor, Pachycephalosaurus, Stegoceras, and Corythosaurus; with bones and teeth of many more dinosaur species, mainly collected from the 4-state region of Montana, Wyoming and the Dakotas. You can also see a large selection of other fossils, including shellfish, fossil leaves, insects trapped in amber, and a large number of skulls and other fossils from the Age of Mammals. 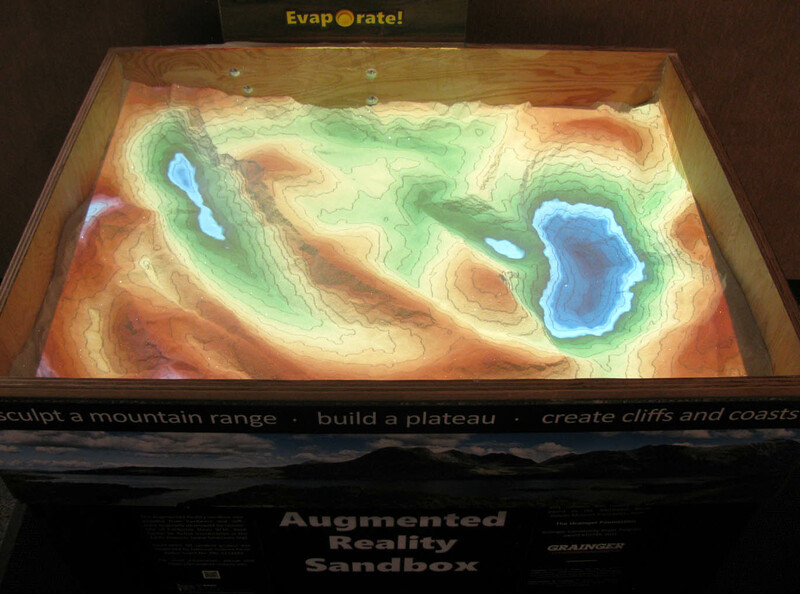 Create mountains, coasts, and even volcanoes with our Augmented Reality sandbox. Examine bugs and minerals in close-up with or digital microscope. Our family area features various puzzles, books, and other activities to keep your kids busy while you take a well-deserved rest! 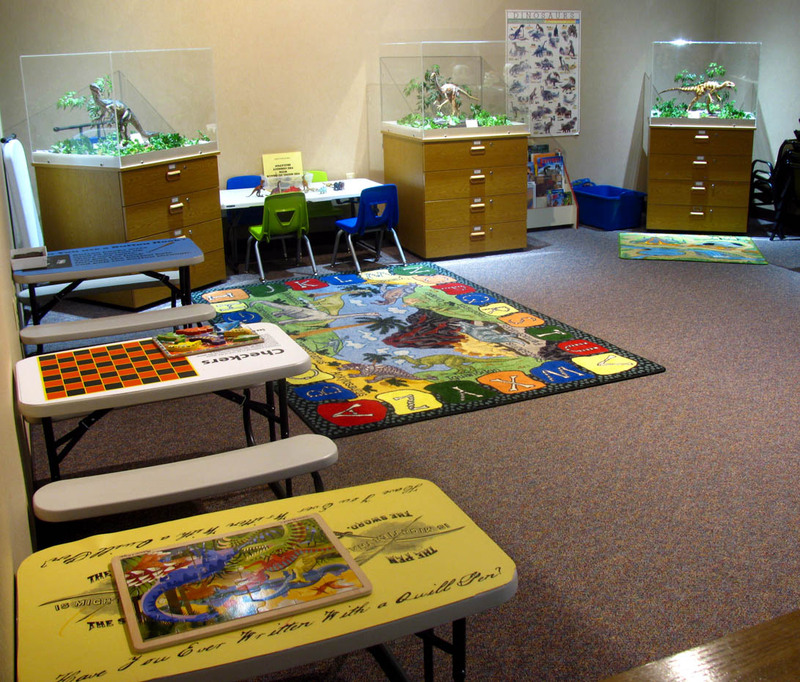 See some of the newest dinosaur finds being prepared in our public viewing lab. A new exhibit (completed in 2018) exploring the evolution and function of eggs. 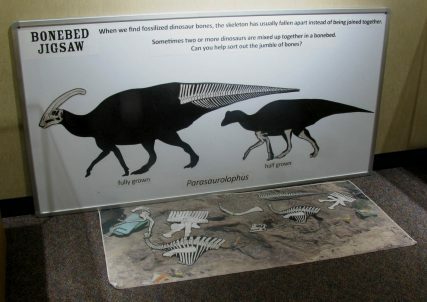 The exhibit focuses on how new research is discovering how dinosaurs grew and the effects that change through growth had on their ecology and evolution. An extensive exhibit of colorful crystals, minerals, and precious stones. This world-class collection was accumulated over 20 years by Alice and Larry League. 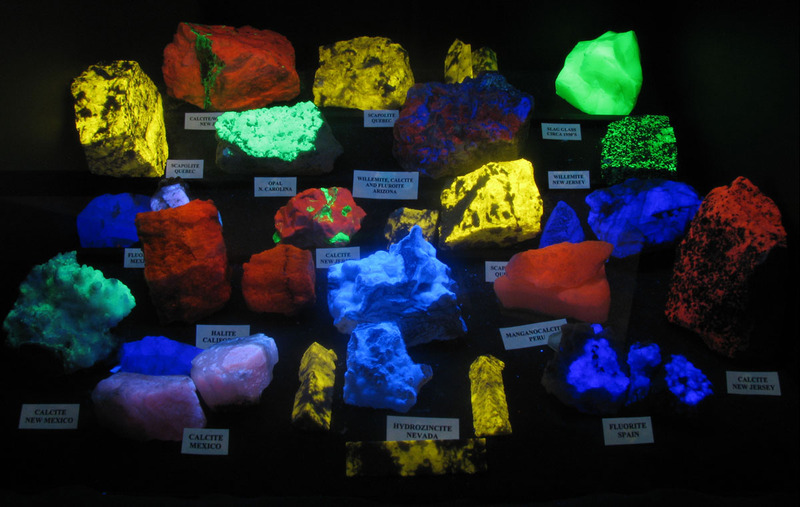 The collection includes a display of minerals that glow under ultraviolet light. Discover how carnivorous dinosaurs like Acheroraptor used their fearsome claws. 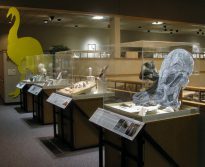 This forthcoming exhibit is based on recent research (2009-2013) into dinosaur claws, and features new models of feathered dinosaurs specially created for this exhibit.